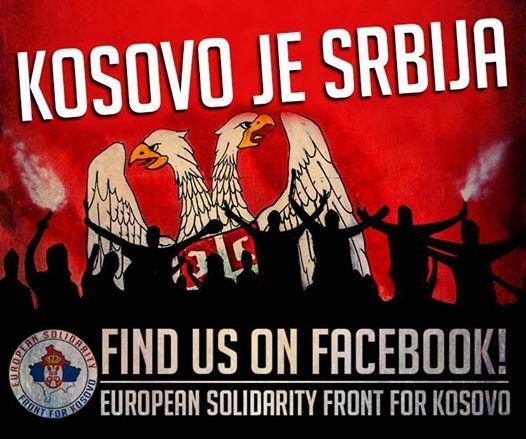 The “European Solidarity Front for Kosovo” was established in Italy, but has expanded rapidly across Europe. In Germany, the Solidarity Front gained a foothold thanks to Maik Müller. Now a large number of people and organizations connected. Recently volunteers from Germany, Italy, Finland and Spain have paid a visit to Sremska Mitrovica. Their friends from the town on the Sava river helped them to spend a whole week in Serbian enclaves in southern Kosovo and Metohija. With like minded from EU countries and the war-torn Syria they have distributed a wide range of humanitarian assistance to the local residents. 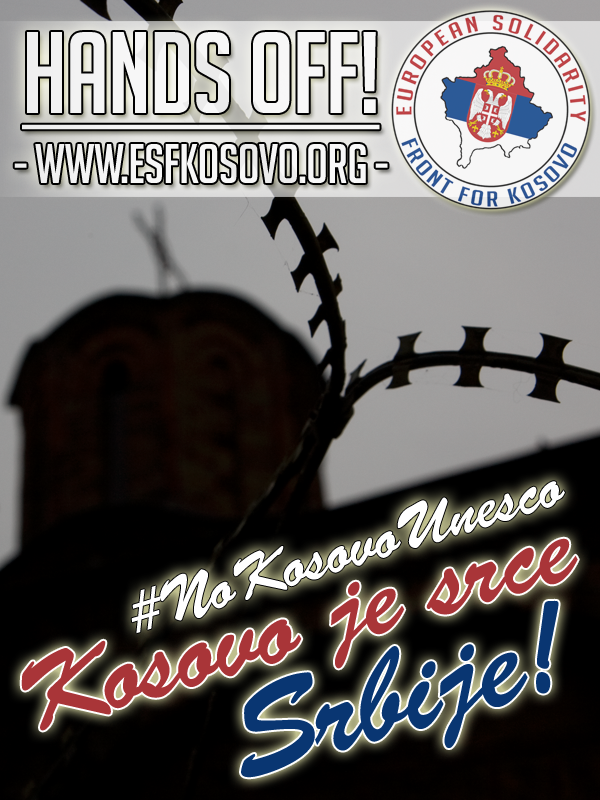 Emanuel Ranucci, Mateo Kaponetti, Rodrigo Gomez, Boris Heidenreich, Elena Barlocari, Marian Wolff and Maik Müller are members of the international youth organization “European Solidarity Front for Kosovo”, which helped the remaining Serbs in northern Kosovo and Metohija as well as in the enclaves in the southern part of the province for many years in a variety of ways. For some of them this was the first visit, while others like Maik Müller (33) from Dresden is a good friend of Serbia and of Sremska Mitrovica. “The friends from Sremska Mitrovica, I met on the Internet and then also during their visit to Dresden. Last year I was the first time in Kosovo and was shocked by the conditions under which the Serbs must live and survive, but also about the injustice that has befallen them. At that time I also visited the primary school “Dositej Obradovic” in Orahovac, I was also in Prizren and met the small Milica, the only Serbian child in this city and had then taken the decision to recur. My friends from Sremska Mitrovica welcomed me in those days. In their homes I was able to recover from the journey. And they also have their share of humanitarian aid prepared, so that we were all involved together in this action. So it was this year, with a difference. We were more.”, explains Maik. “People need to understand that we are not all equal in the West and the politics that is waged against Serbia and the whole world is not supported by a large part of the youth. We are aware that we can not change that, but we’re here to help. Believe me, I was so shocked by what I saw last year that I feel the sadness and fear still oppressed. In the factory where I work, I have not only pictures of my wife or my daughter, but also images of children whom I have met in Kosovo. Their lives have opened my eyes. Thanks to them I have seen what life means and what a luxury we have in Germany, despite the problems with which a simple German worker as I have to get along. I have to be honest, the method by which I raise my child changed. During my stay in Serbia, I realized that the rest of the population lives very difficult and even that has me perplexed.”, says Maik. “We come from countries in which we knows very little about the Orthodox Christian faith and it was very interesting for us to see how your religious objects look from the inside, because they are so different compared to ours. Especially we have enjoyed the wedding ceremony, which took place in one of the churches. The bridal couple and the priest who has married them, had no objection to our presence. So we also had the opportunity to see the Serbs at a celebration. Our work is humanitarian primarily but through new contacts we try and get to know Serbia more and more and to understand the mentality of the people.”, Maik continues. This year’s visit to the Serbian enclaves in Kosovo began on the seventh of September and ended on the eleventh of September. The brought packets over which the Serbs were delighted, contained school supplies, pens, notebooks, blocks, books, bags, various toys, toiletries, money … and a guitar that the little Serbian girl Milica has desired in the imperial city of Prizren. The money for the packages was collected through donations throughout Europe. The list of the needed items, was created during the constant contact of these young people with their friends in both Mitrovica’s, Sremska and Kosovska, but also with other humanitarian organizations in Serbia. 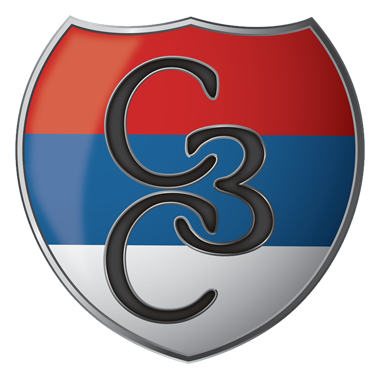 We have excellent contacts with people all over Serbia and that means a lot to us. We are especially proud of our friends from Sremska Mitrovica which are always there for us if we need anything and without which our journey would be considerably more difficult. As for the visit to Kosovo and Metohija, we had no problems, after all, we are strangers and even when all is clear what we do here and whom we help no one bothered us. Especially emotional was the meeting with the small Milica. We visited the Prizren church “Saint Sava”, the “Our Lady of Ljeviš” Cathedral and others. From Prizren we drove to Strpce, where we met with the director of the local primary school and responsible people for the locally social assistance. We discussed what things are the most needed for future years, which we can bring. In Banje we visited for the second time the family Sapic, consisting of a single mother and four children. The father passed away in the meantime. Them we also brought some help and give them money to take at least a little of worry. All this burdens us very much, but we give as much as we can … and more. 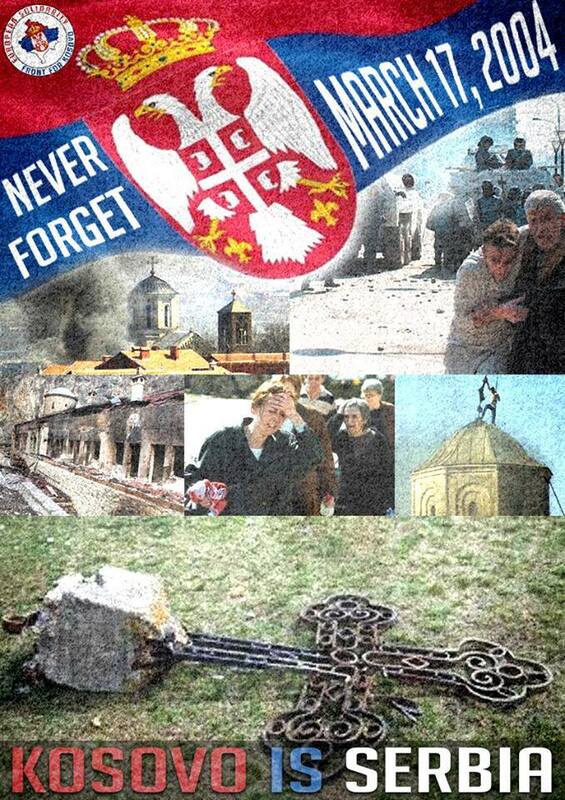 The struggle of the Serbian people in Kosovo and Metohija is the best proof that such a heavy torture can be survived. It’s hard, painful, but they can. Their suffering is a hard wound on body of Europe, they are her largest conscience, and a test in which all of us can show what a people we are“, concludes with tears in his eyes Maik Müller.